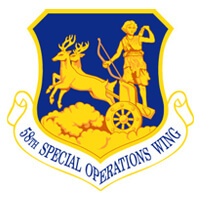 The 58 SOW is an Air Education and Training Command (AETC) Formal Training Unit (FTU) responsible for training aircrew for Special Operations, Missile Field Support, Combat Search and Rescue missions and Undergraduate Pilot Training-Helicopter (UPT-H). TekSynap provides Information Technology (IT) support at two locations, Kirtland AFB, New Mexico, and Ft Rucker, Alabama. At Kirtland AFB, we support 2,100 customers that require support with 5000 pieces of network equipment (computers, monitors, and printers), storage area network (30 TB File server), 260 printer servers, 80 cell phone devices, and localized tier 2 support. At Ft Rucker, We provide tier 1 and 2 support for 330 users to include 220 computers, 1 server, and 19 printers.